Pulp Fiction was a popular movie in the United States, but what if you could take that form to storytelling and give it the good ol’ anime twist? That is what Durarara!! is all about and it’s been quite some time since we’ve seen this anime grace our television screen. It’s been five years, in fact, as the first season aired back in 2010. The second season contains 36 episodes, but broken into three “cours.” If you are unfamiliar with the word, cours is a French term used in anime to describe a show that’s segmented into 12 or 13 episode blocks, but each block is not considered a new season. Fate/Zero and Fate/Stay Night Unlimited Blade Works are also prime examples. In fact, Fate/Stay Night is currently airing the second cours and the first episode is not called Season 2, Episode 1… it is simply referred to as Episode 13. The second cours of season two of Durarara!! will air in July, but since the first set is wrapped up (called Durarara! !x2 Shou), let’s take a look at its return to the anime world! There isn’t just one true story here. There are several major arcing stories, sub-stories, and personal stories that all intertwine with each other to form the big picture, but the big picture is and isn’t really needed as you can follow individual stories and still get an experience in and of itself out of it. I know that doesn’t make a lot of sense, but that’s Durarara!! for you. I will try my best to run down the things that happen. It starts off with a reintroduction episode where they take you through the city of Ikebukuro, Japan and reintroduce all of the cast members and even introduce some new faces. The series picks right up where it left off after the end of the Dollars vs Yellow Scarves story arc. Here, they focus on the Japanese Yakuza and their missing granddaughter which ends up in the hands of Shizuo Heiwajima and Shinra. Among the chaos, a biker gang called Torumaru gets mixed up in the kidnapping. Among that chaos, the remnant factions of the Blue Squares (which was a gang thought to have been dissolved in season one), have infiltrated The Dollars and are acting on the Dollars behalf, creating a misunderstanding between the Torumaru and The Dollars. Among that chaos, Russian hitmen are hired to retrieve the Yakuza head’s granddaughter and end up becoming interested in Celty. 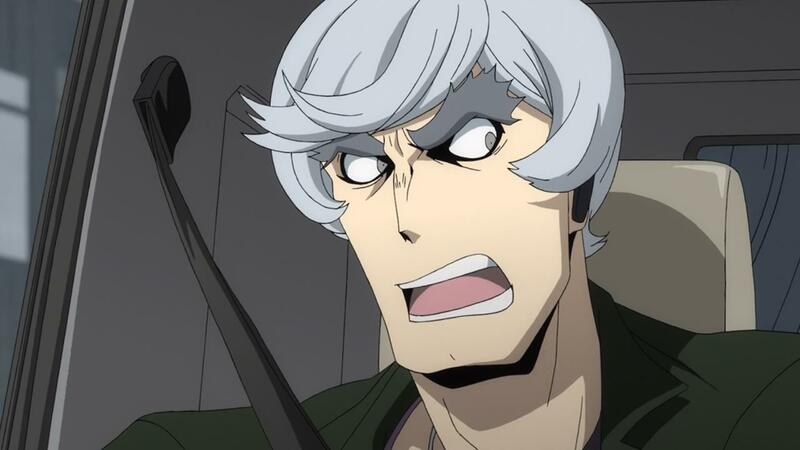 To top all of that off, we are also treated to a serial killer known as Hollywood going around and murdering people, some of the murders are pinned on Shizuo Heiwajima in the midst of the kidnapping which only makes things worse. Confused? You should be because that is how Durarara!! operates. 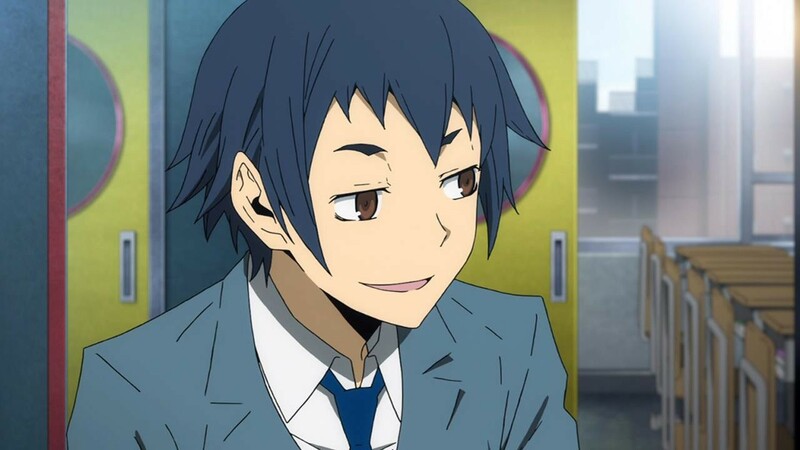 In fact, if that wasn’t bad enough, in true Durarara!! fashion, they usually start off the episode with the ending then use the remainder of the episode to trace their steps backwards in order to show you how they arrived at that conclusion, adding even more to the confusion, but it’s a controlled chaos because even though things seem very very jumbled around, the more you watch, the more everything makes sense as all the pieces of the puzzle seem to fit together. Phoo! This is going to be a big section. Better get started. His name sounds like an air conditioner! He is the lead character of the series and is shy and timid. He is the founder of The Dollars, a gang that anyone can join that communicates primarily through online chat rooms and text messages. In the first season, we learned he was the leader of The Dollars when the Yellow Scarves threatened them. Here in season two, his identity is known by the Blue Squares gang and they approach him to be their leader in addition to being the leader of The Dollars. Not much has changed with Mikado, personality-wise, except for when he is give the option to be the leader of The Blue Squares. Having read some of the light novels, I know what is to come and they did a nice job planting the seeds with Mikado in this part of the series. I can’t wait to see how this plays out because, trust me folks, it’s going to get good! In the first season, Anri is revealed as Saika… a person who can control a sword that, when it pierces you, turns into you a servant of Saika. In season two, she, unfortunately, seems like a background character more than anything. She tries to help Mikado on a couple of occasions and it draws the attention of the Russian hitmen, but that’s about all she’s done in this part of the second season. 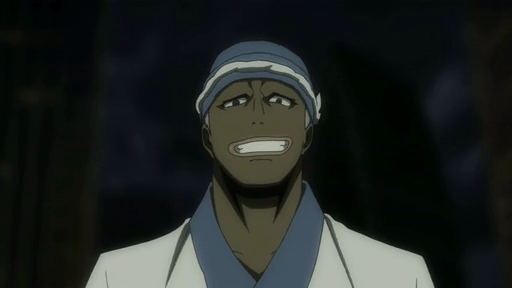 In season one, he was revealed as the former leader of The Yellow Scarves. He was coaxed into becoming their leader once again, but didn’t like the direction the gang was headed… especially with their war with The Dollars. After season one, Masaomi left town and is now living with his girlfriend, Saki Mikajima, who worships Orihara Izaya as a God. Here in season two, he has a very minor role, but an important one. He’s the one who warns Mikado about the Blue Squares and he is last seen heading to Ikebukuro when he realizes that the situation is spiraling out of control. 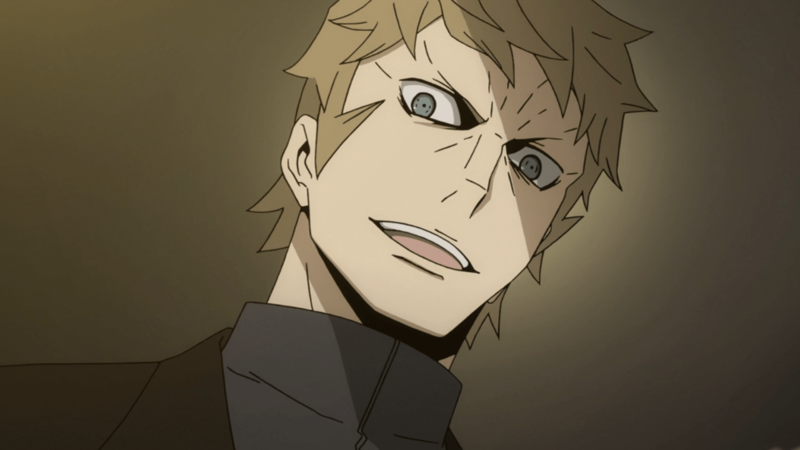 Masaomi is one of my favorite characters mainly because of his personality. He flirts with all the girls, is care-free, and is a master of bad puns. He has a serious side to him, too, which was brought out at the end of season one, but for the most part, he served as a good portion of the entertainment. 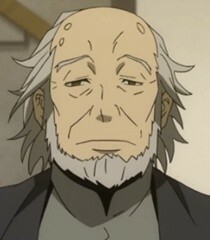 He is the main antagonist of the series and one of the most confusing characters. Plain and simple, he is an information broker. He has his finger on the pulse of Ikebukuro, but that’s not enough. He gets his jollies off of making people’s lives miserable through manipulation. He was the one who coaxed the Yellow Scarves into the war with the Dollars and he did it again in season two by manipulating the Yakuza and The Toramaru gangs, using Shizuo Heiwajima as the catalyst. He is also a member of The Dollars, which is where he gets the majority of his information from. Izaya is one of those characters who just loves to watch the world burn, but at the same time, he does have a conscience. He even saved someone’s life in season one when they were thinking of committing suicide. He is quite the mixed bag that’s very hard to read. At one point he seems diabolical and evil and other times he seems caring and compassionate. 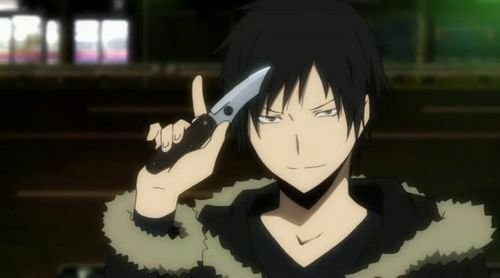 Who knows what Izaya’s true goal is… if he even has one. It’s that mysterious dynamic that makes him such a good character. One of those characters that you love to hate. He is a man that you just stay away from. Thin frame, dressed in a bartender’s suit, and the brother of a famous actor, Shizuo possesses superhuman strength and a short temper. He can pick up entire vending machines and light poles and just hurl them or swing them with ease. Any who get into a fight with Shizuo end up completely destroyed. There isn’t anyone who is a match for him… except one, but I’ll touch on him in a bit. Shizuo and Izaya are bitter rivals and enemies. Izaya will try and mess with Shizuo or even try and kill him each time an opportunity presents itself. He tried several times in season one and even manipulated the Yakuza to try and kill Shizuo in season two. There is no level Izaya won’t stoop to in order to accomplish this goal. 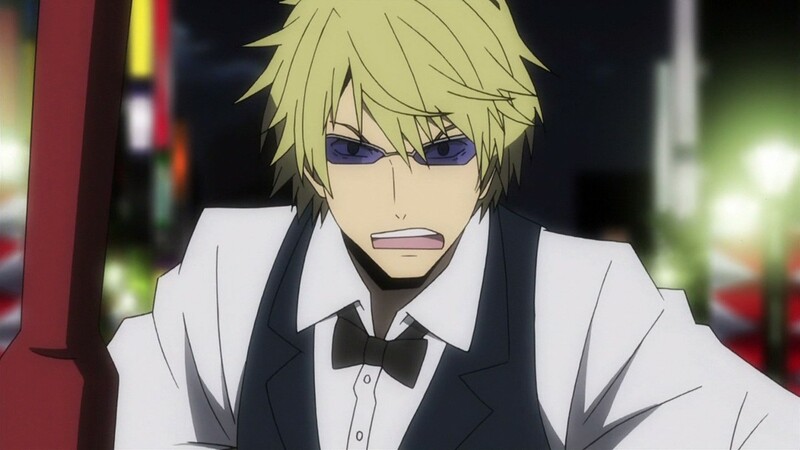 Shizuo also seems to be the kind of character who just wants to live a peaceful life but each time he tries something… almost anything… pisses him off and he goes into a devastating rage. He is a cool character that is also a part of the Dollars gang because their care-free lifestyle was something that appealed to him. 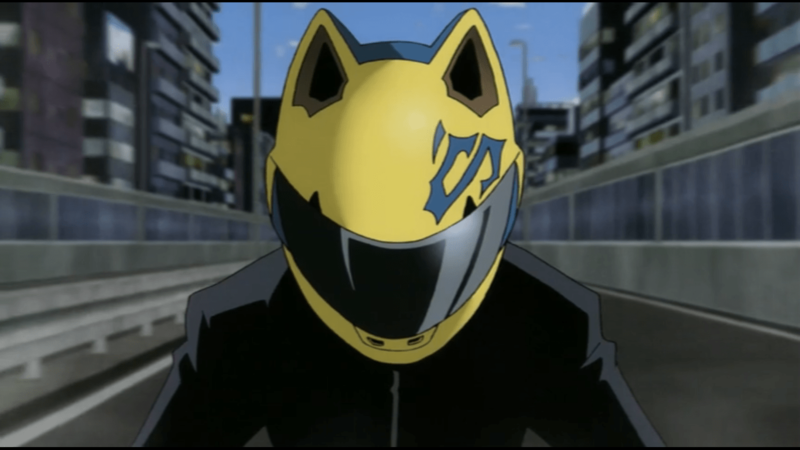 Celty is a courier that picks up odd jobs to make a living. She is often at the beck and call of Izaya who has many requests. In season two, her job was to transport the Yakuza head’s granddaughter and ends up getting mixed up in the entire fiasco. Celty is also targeted by the Russian hitmen due to her true nature of being a Dullahan, or headless horseman. Her bike is made out of a black shadow which is actually her horse transformed. She is an urban legend in Ikebukuro that some people love and others fear. She is also in love with Shinra and a member of The Dollars. Celty is, hands down, my favorite character for the show. She can’t talk due to her missing a head so she communicates by tapping out messages on a cell phone and showing it to people. In season one she was searching for her head, which is a story in and of itself. Her personality went from a determined loner to that of someone who is more “girl-like.” They portray her as someone who looks to be a monster, but is actually just like any other girl out there with the same impulses, thoughts, and behaviors. She really is no different than anyone else. After learning the truth about her head, she elects to live as much of a normal lifestyle as possible with Shinra. Segue! 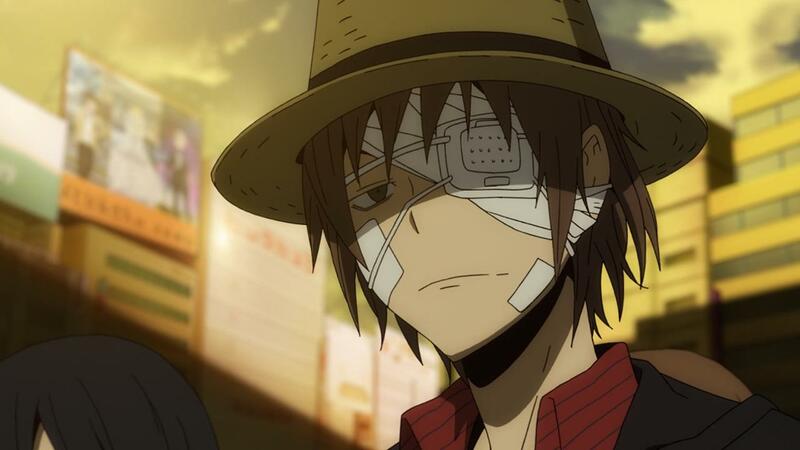 Shinra is an underground doctor for the city of Ikebukuro. 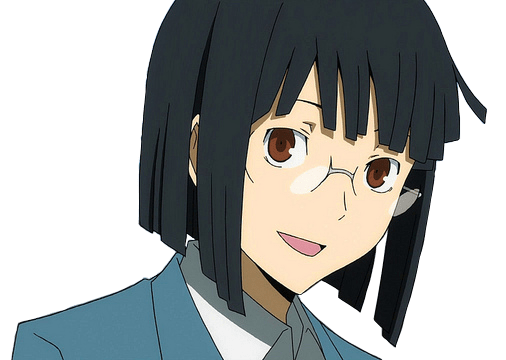 His father is a doctor as well and the two of them performed an autopsy on Celty, which is where Shinra began his infatuation with her. Celty can heal very very quickly as part of her special powers, but what attracted Shinra to her most was her personality. 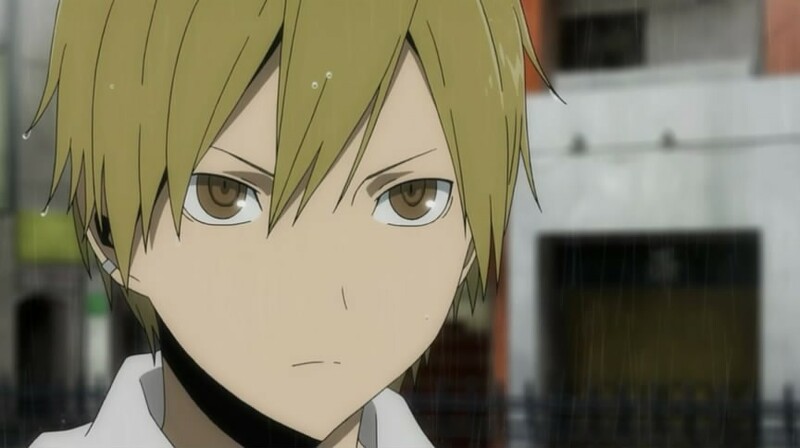 He is currently living with Celty and is good friends with both Shizuo and Izaya. If you want to talk about a melting pot of culture…. Meet Simon! He’s an African American Russian who works at a Japanese Sushi bar. He is the only person in Ikebukuro who can match Shizuo Heiwajima in strength and in season one, that was his primary role… to act as Shizuo’s counterbalance. In season two, he harbors the Russian hit men that were hired to try and retrieve the Yakuza head’s granddaughter after she runs away. Well.. that pretty much wraps up the major returning characters. There are more like the two otakus Walker and Erika, along with their friend and partner Dotachin (who ends up in a fight with the leader of the Toramaru), etc, but let’s move onto the brand new characters. 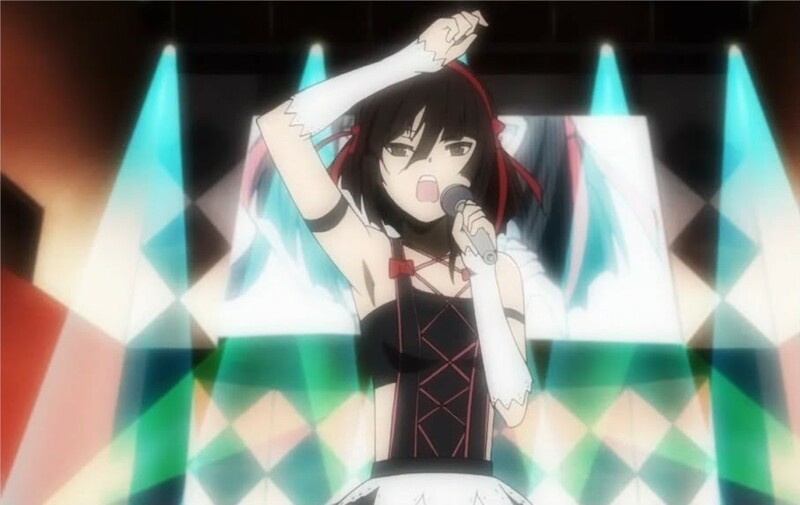 She is a pop idol singer who is also revealed as the serial killer Hollywood. 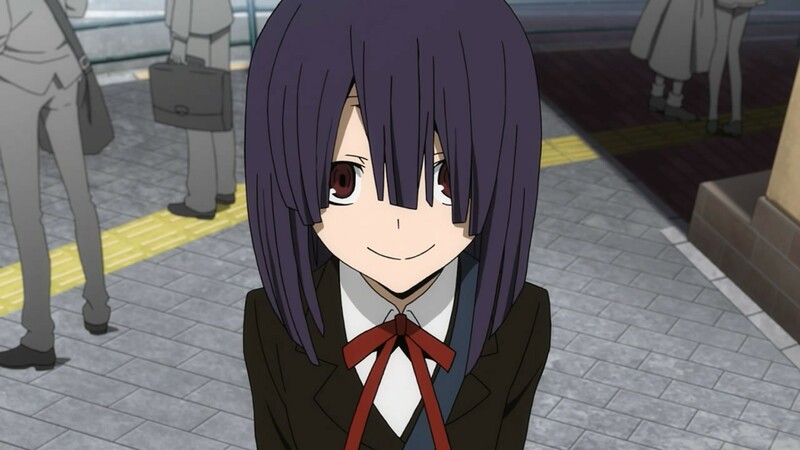 She is discovered by Kasuka Heiwajima, a famous actor and brother to Shizuo. He finds her injured and calls upon Shinra to help aid her. 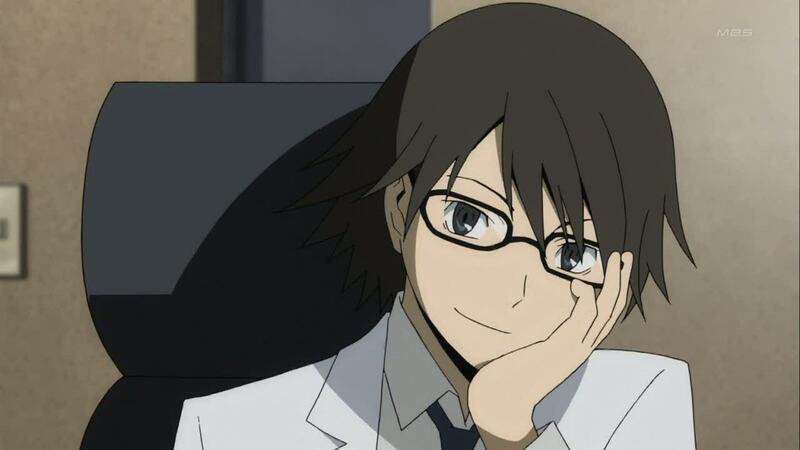 Shinra vows to keep the secret and we don’t see much of her in the second season after that. We do know that she murdered a few members of the Yakuza and Izaya uses those murders and pins them on Shizuo by luring Shizuo to the murder scene at the same time the Yakuza arrives. They see him and right there, Shizuo is framed for the crime. 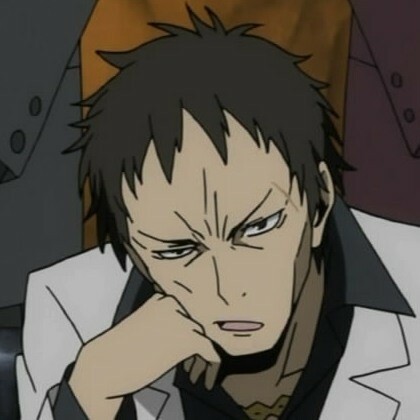 He is an information broker whos slyness exceeds that of Orihara Izaya. He hired members of the Awakasu Yakuza to murder Ruri after he discovers that she has Dulluhan blood in her, much like Celty. 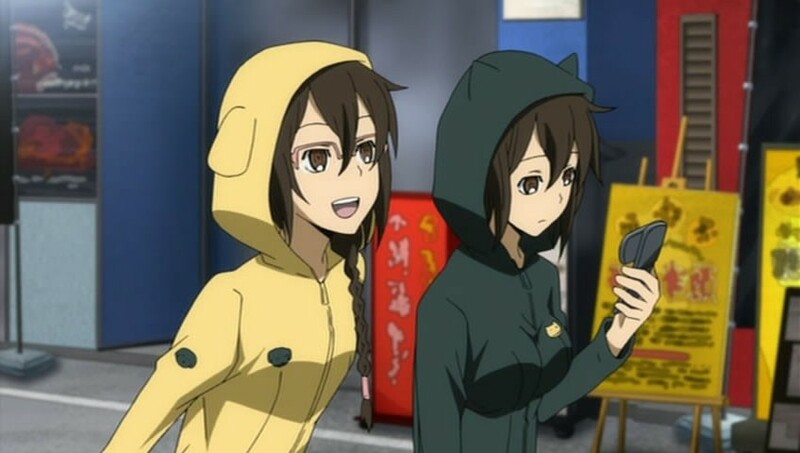 They are the twin younger sisters of Orihara Izaya. In the beginning of the second season, they are merely introduced. They are fans of Kasuka Heiwajima and they wish to know more about Ikebukuro, but Orihara always blows them off and leaves them in the dark. They are the two Russian hitmen hired to try and retrieve the Yakuza head’s granddaughter. Vorona is a weapon’s master and is very cold and calculated. She is the kind where she doesn’t care about who she kills, as long as she can kill. She killed her first target when she was 10, which was a burglar inside their home. Sloan is more of a follower more than anything. He follows Vorona’s orders, but is very skilled himself. The owner of the sushi bar that Simon works at. 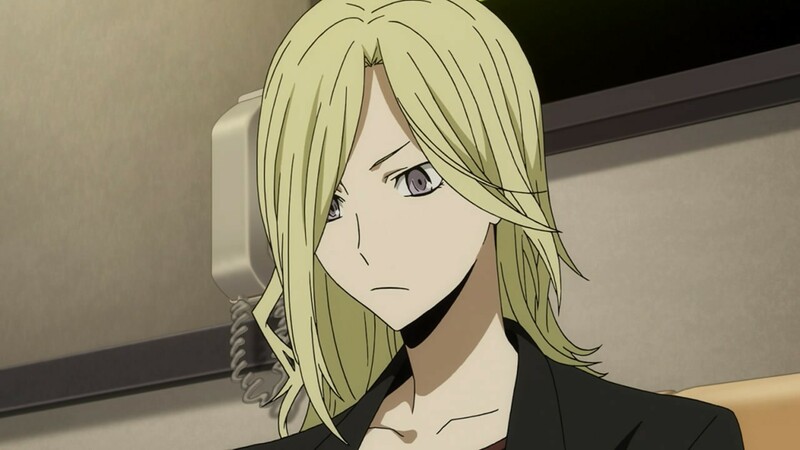 He also was the one who trained Vorona. Outside of that, there really wasn’t all that much to the Dennis character, but that’s what you usually get with background supporting characters. One of the top assassins in all of Russia… he was injured and is currently recouping/hiding at the Russian sushi bar alongside Dennis and Simon. Another background supporting character with not much substance. She’s the granddaughter of Mikiya and Dougen Awaksau.. the heads of the Yakuza clan. When she was 10, she discovered what her family business was all about and got scared. She decided to run away from home after finding out that her so-called friends at school were only friends with her because they knew of her family’s business. She didn’t want to be around that so she ran away and bumped into Orihara Izaya. Izaya, then manipulated her into thinking Shizuo was a kidnapper that wanted to hurt her and that she should kill him on site. This begins the entire fiascho between Shizuo and the Yakuza. He is a 1st year student at Raira academy and knows Mikado’s secret that he is the leader of The Dollars. Aoba is leading a renegade remnant faction of the Blue Squares and tries to convince Mikado to be their leader as he admires him to the point of obsession. He also declares Orihara Izaya as an enemy, which is ironic because everything he’s doing is something that Izaya himself would do. 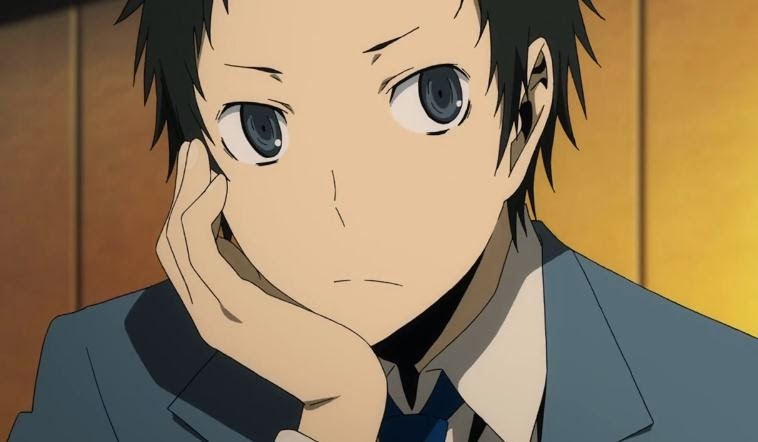 Many said he is just a younger version of Izaya. He is the leader of the Torumaru biker gang and comes to Ikebukuro to enact revenge on The Dollars after they attacked some of their members, but it turned out to be Aoba Kuronuma’s Blue Squares that attacked them under the guise of The Dollars. This, once again, sets up a war between The Dollars and another rival gang. He gets into a fight with Dotachin and it’s called to be a draw between the two of them. It is during this fight that Chikage learns that the Dollars didn’t cause the attack and he ends up respecting Dotachin and The Dollars just a little bit more. He also gets into a fight with Shizuo and gets destroyed by him. Chikage is also a womanizer who holds the highest respect for women. If anyone says or does anything bad to a woman, whether he knows the woman or not, he will get pissed off and beat the hell out of them. One of the top executives of the Awakasu Yakuza organization. He was tasked with tracking down and finding Akane to ensure her safe return. He pins the murder of some of his members on Shizuo and hunts them down until he meets up with Shinra, who is also an acquaintance of the Yakuza. 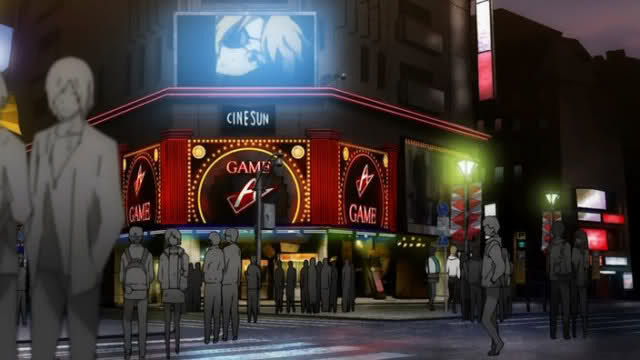 Shinra explains that it wasn’t Shizuo and that’s when Haruya realizes it was Hollywood that killed his members. I think that about covers the characters. I wasn’t lying when I said it was a large cast, and just think.. it’s going to get even bigger as time goes on. There are even some smaller characters that I left out because they didn’t really have much of a role here in the second season, but they had small “connecting” roles in the first season. By connecting, I meant they acted as supporting characters that helped connect or bridge the stories together. Durarara!! has a unique art style to it in its character designs. Very thin outlines and very pointy joints, especially in the chin area, make up the style of most of the designs. Also, the use of faded colors, pastels, with little to no shading, also give the characters a unique look and feel to them. It doesn’t look as “high definition” at the character level compared to some of the other modern animes, but it’s a style that works very well for the series. The most impressive part about the outwork is the backgrounds. Not due to their CG nature, but their accuracy and their detail. 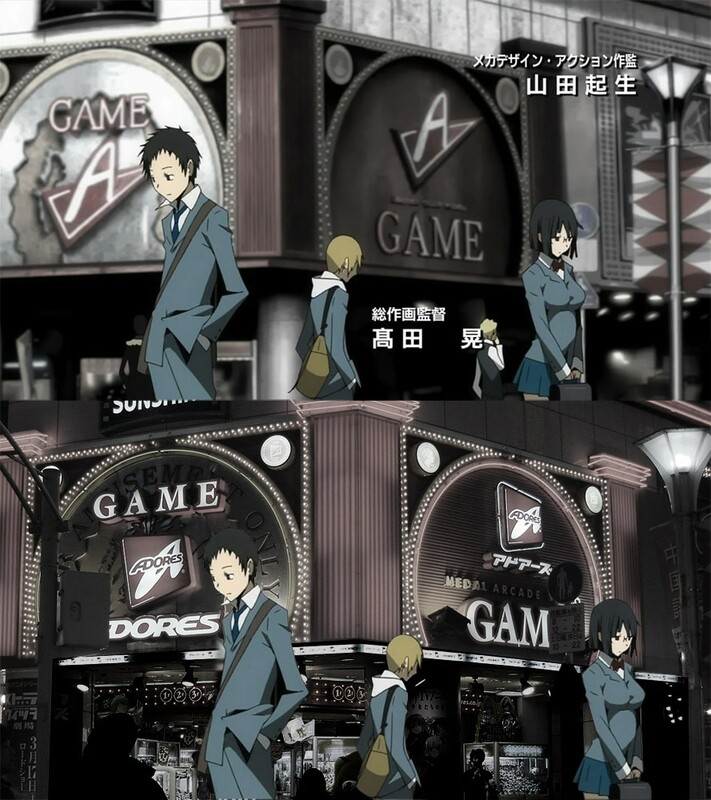 There was a behind-the-scenes bit for the first season of Durarara!! 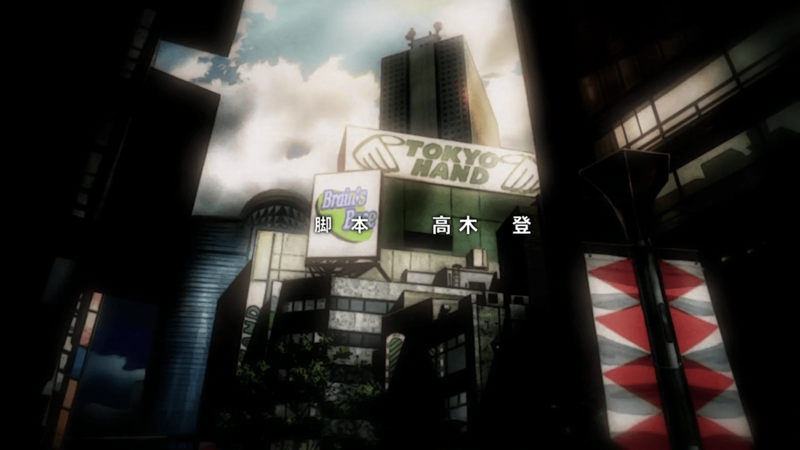 and it talked about how the artists recreated the city of Ikebukuro almost exactly for this anime. 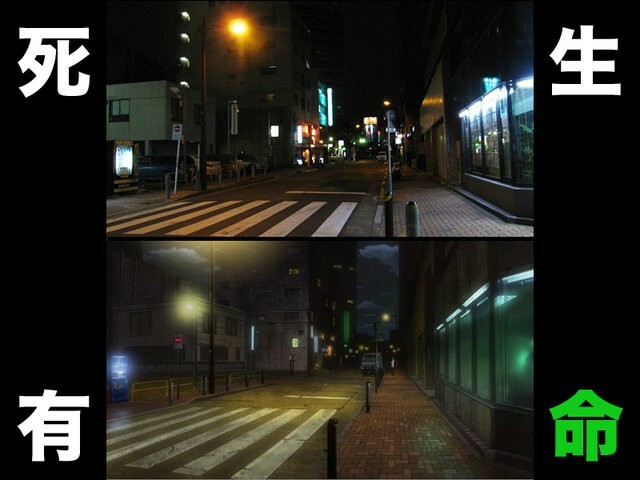 They showed side by side photographs of real places versus their place in the anime and they matched up almost identically. They went through some painstaking detail to try and get the look and feel of the city so they can drop their characters into a world that already exists in real life. It was pretty amazing and my favorite part about the artwork of Durarara!! 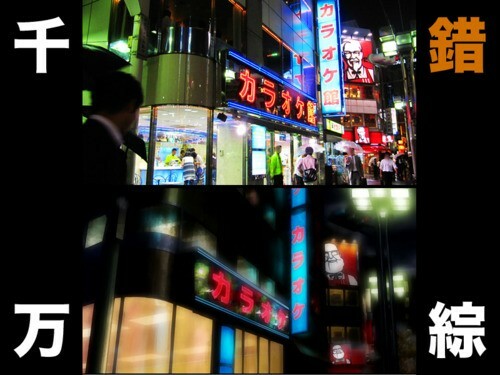 In fact, I’d like to take a trip to Ikebukuro one day just to see everything up close and personal for myself! The animation is either hit or miss. The characters themselves move like typical anime characters would while the CG, most notably Celty’s bike, flowed more naturally. Although the high speed chase between Celty and the police is always well animated and was a nice way to kick off the second season. Despite the obvious differences between the normal animation and the CG, it still flowed together nicely and wasn’t really distracting all too much. The soundtrack was more miss than hit. They reused a lot of the songs from the first season, which is fine because it gives a sense of continuity, but being someone who owns the first season’s OST, I have to say that it doesn’t rank very high. A lot of the sounds just seem like a jumbled mess when you listen to them on their own, but when you put them in the background for the anime, they seem to work rather well to help set some of the moods. The OST seems like it is turned down a notch in the anime, though which is a dead giveaway that the tracks are meant for background ambiance rather than something that’s going to draw your attention. It works for what it sets out to do, but it isn’t something that’s good to listen to on its own. I’d say pass on it. The opening theme, however, it top notch. “HEADHUNTER” by OKAMOTO’S is the name of the track and I play it in my car every day to and from work.. sometimes on repeat! Durarara!! has been known to use more “urban-sounding” songs for their opening themes, meaning that these are songs that you can just envision yourself listening to inside of a big city. This song really fits the overall feeling of the anime and I highly recommend anyone to give it a listen at least once! Durarara!! is one of my favorite series and I’m so happy to see it back. I love the intertwining stories, all of the characters are interesting, and the attention to detail in the backgrounds is amazing. I can’t really quote a favorite part for the second season because it is still ongoing. This first part merely set up the second and third parts, which should conclude the light novel series. When it all concludes, I’ll be sure to give some better analysis on the series as a whole. I really believe that this is a series that is worth your time in every aspect. Each episode leaves you with wanting more and the when the pieces of the puzzle start to fit together and you start to tie in things to each other, it just keeps getting better and better. You start to feel less confused, you begin to understand things and all the little references to the events that are happening and have happened are brilliant. There are times where you forget characters exist and then they show that one little flashback and you instantly remember what happened and you realize that even the smallest scenes, and the shortest dialogues, all fit somewhere in the overall grand scheme of things. It truly is masterful! If you can get your hands on the English dub for season one, go for it. Johnny Yong Bosch does an awesome job with Orihara Izaya and sells the most interesting character in the series very well. 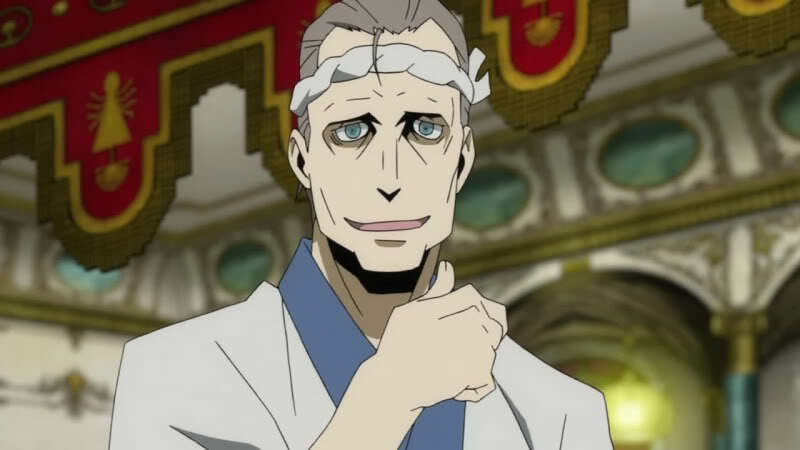 The fact that one of my favorites, Crispin Freeman, plays his opposite, Shizou Heiwajima, is also simply amazing. The dub isn’t really that bad, either. There are a few wonky parts in it, but for the most part, it is enjoyable. I’m sure they will all be reprising their roles when the first cours of the second season makes its way across the big pond and onto our shores. If you’re wondering, it is currently licensed by Aniplex. All of your favorite characters are back in the first part of the second season of Durarara!! which continues to captivate the watcher through its unique and interesting storytelling.